It should not be absent from any nursery, it brings back wonderful childhood memories and impresses with its nostalgic character alone: the rocking horse. There are certain things, which have not really changed for centuries! 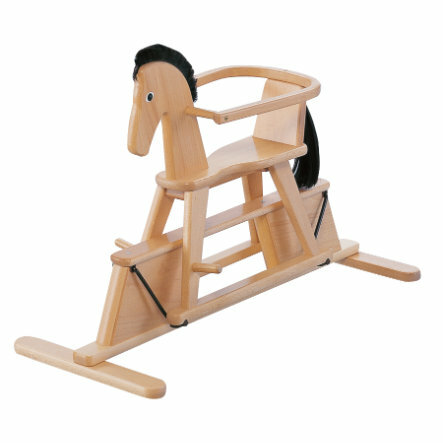 The rocking horse has its traditional place – or should one say stable – in every child’s realm. Of course such arocking creature also has positive effects on the development of a child, butwe are of the opinion that the main thing is it should be fun! So giddy up little horse! Halla has a removable protective ring, a tail and a mane.